(GRISWOLD, Rufus W.) Statement of the relations of Rufus W. Griswold with Charlotte Myers (called Charlotte Griswold,) Elizabeth F. Ellet, Ann S. Stephens, Samuel J. Waring, Hamilton R. Searles, and Charles D. Lewis. With particular reference to their late unsuccessful attempt to have set aside the decree granted in 1852 by the Court of Common Pleas of Philadelphia County in the Case of Griswold vs. Griswold. Philadelphia: Henry G. Ashmead, 1856. First edition. 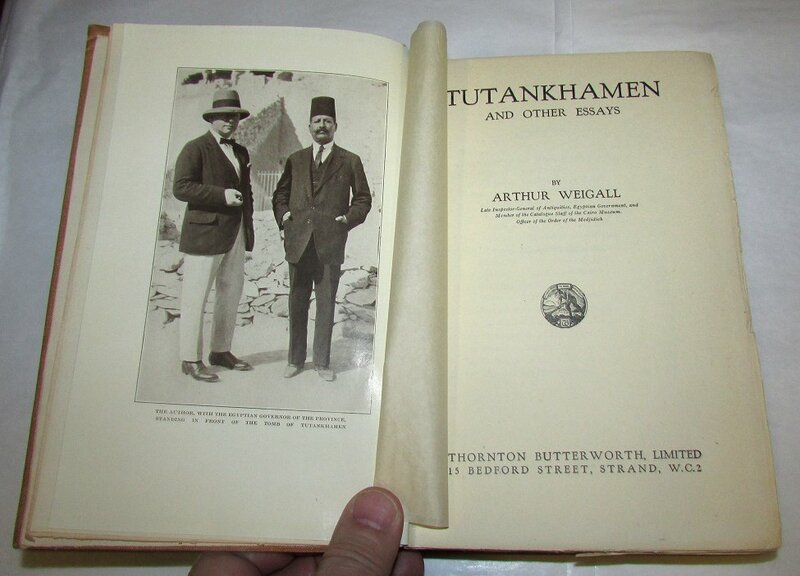 From the library of C. B. Farrar with his ownership inscription on the upper wrapper. 8vo., original printed wrappers, 32pp. Near fine. Rufus Wilmot Griswold (1815-1857) was an editor, poet, and critic best known for his anthology The Poets and Poetry of America, which established his literary reputation at the time and resulted in a feud between Griswold and Edgar Allen Poe, who criticized his editorial choices. Indeed, the book and most of the poets included have fallen into obscurity. 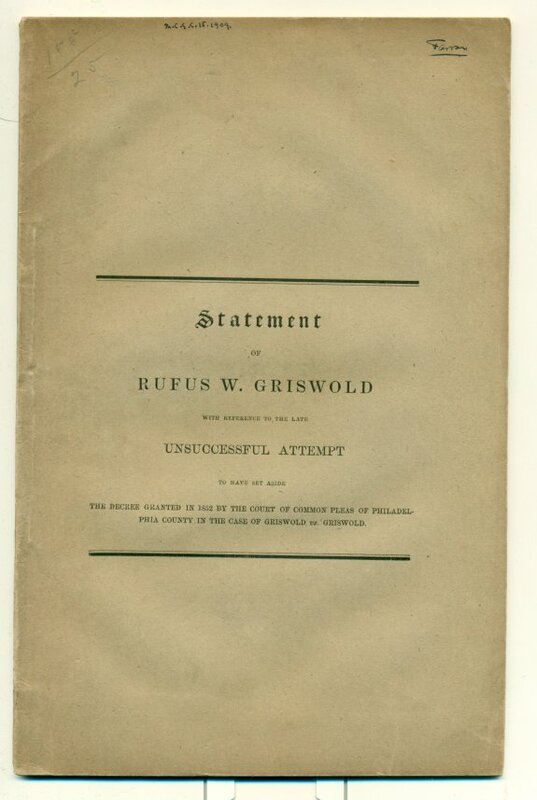 This pamphlet was published by Griswold as a personal defence amidst a scandalous and lengthy divorce from his second wife, Charlotte Meyers. The proceedings had been complicated by the meddling of Elizabeth F. Ellet who encouraged Griswold's wife to contest the finalized divorce, leading to accusations of bigamy and the eventual end of his third marriage. Sabin: "Contains some very curious particulars in relation to this scandalous affair."